Customer.io helps you expertly personalise and automate your customer communication. 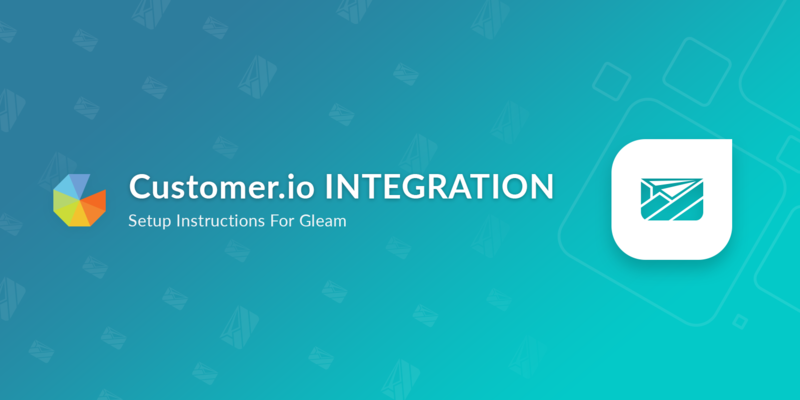 Gleam integrates fully with Customer.io so you can easily and effectively collect emails from customers and start delivering messages. You can enable Customer.io Integration on the Pro plan & above. Simply navigate to Settings > Integrations then turn on Customer.io. You will then need to add your site ID, API key & the a default triggering event. We support the syncing of Custom Fields for Customer.io through our Custom Field Sync feature, you can set this up via the Custom Field Mapping button when setting up the integration. 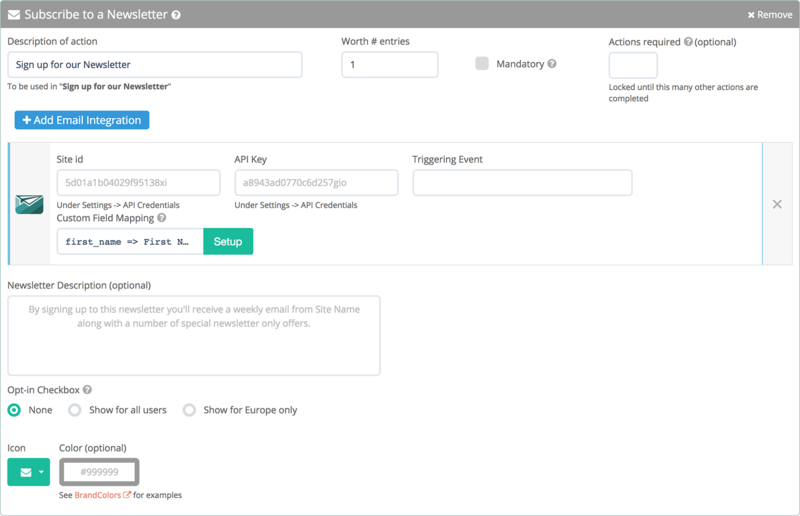 Once you've activated your integration with Customer.io you can now use Subscribe actions to send mails to any list that you want.